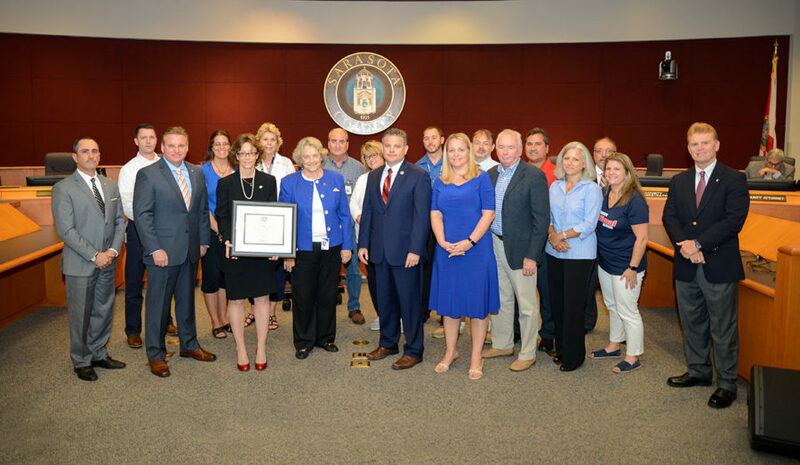 After — as she put it — “30.5 years” in the employment of Sarasota County, Parks, Recreation and Natural Resources (PRNR) Director Carolyn Brown marked her final day with the county on Oct. 10. County Administrator Jonathan Lewis and the County Commission not only bade a formal farewell to Brown that day, but Lewis also took the opportunity during the County Commission meeting to praise Brown and her staff for the PRNR Department’s winning national accreditation through the Commission for Accreditation of Park and Recreation Agencies (CAPRA). Twice, Lewis called the latter accomplishment “a really big deal,” pointing out that only 22 other agencies in Florida have won that recognition. Additionally, he said, only about 166 nationwide have earned it. 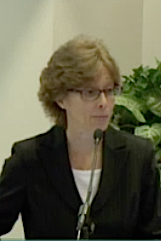 Then Lewis told the audience in the mostly full Commission Chambers in downtown Sarasota that he and his colleagues on staff are “also a little sad” because of Brown’s retirement. Her first job with the county, he continued of Brown, was with a community center in Englewood. She made her way up the ranks to run the PRNR Department, which is responsible for about 160 parks throughout the county, translating into “constant community engagement,” he noted. On Oct. 29, Brown officially will become the director of support services for the Town of Longboat Key, Susan Phillips, assistant to the town manager, told The Sarasota News Leader. In years past, Phillips explained, the town had both an administrative services director and an assistant town manager. The position Brown is taking “takes care of some of that void,” Phillips pointed out. She also thanked her “outstanding mentors,” including former Parks and Recreation Department Director Walt Rothenbach, who retired in 2003, and her immediate predecessor, John McCarthy. Additionally, she extended her appreciation to all the “Friends” groups with which she worked professionally, including the support organizations for individual parks and The Legacy Trail. Detert then wished Brown “Good luck” in her new endeavor. Carolyn Brown is awesome. A true friend to parks, people and the public at large. We are grateful for Carolyn’s support of the Sarasota Audubon Society’s over all the years. We will miss you, but wish you well in your new endeavor. The Town of Longboat Key is very lucky. Sincerely, the SAS board.